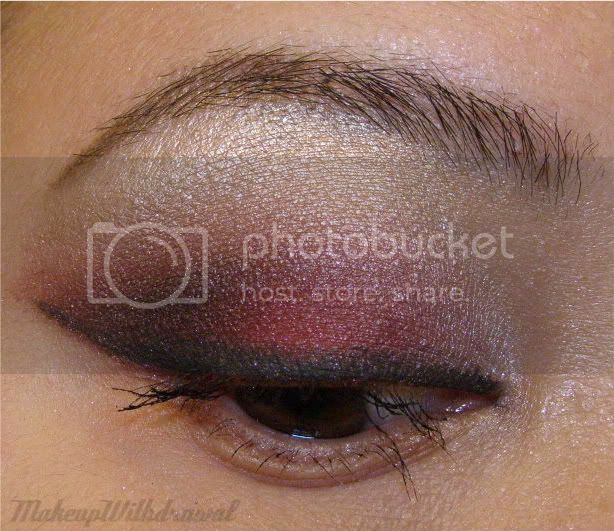 I always feared and admired red eyeshadow. So bold, yet it can so very easily go from Pow! to Look, I Have Severe Pink Eye, Please Don't Come Near. Now I think I have finally mastered (ok, finally attempted a look with it that didn't fail super hard), with much thanks to my Wet'n'Wild Night Elf Palette. This palette, (reviewed here) contains a beautiful vivid crimson shade, the likes of which have never graced drugstores before. 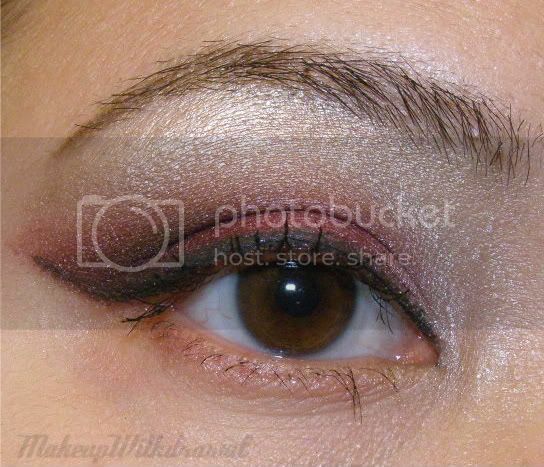 I think the trick was to make the red appear less pink and more vampy, if that makes any sense and to give the eyeball a definitive boundary (in other words, throw down the welcome rug for the black eyeliner) where ever red shadow is used so that the eye looks bright, not irritated and diseased. Have you tried red eyeshadow before? Or is it a bit too much for you? How about vivid red blush- like NARS Exhibit A? Or scarlet lipstick?